The most popular cleaning instrument in any home is most likely the vacuum. The vacuum has revolutionized itself as much as it has the cleaning process as a whole. The original vacuum cleaners were designed to clean those enormous area rugs that were a staple item in every home. Those big rugs were hung out of windows and beat with a stick, in an attempt to shake some of the dirt loose. The first prototypes of the vacuum were bulky and heavy, had limited movement and required a staff of professionals to operate the heavy pipes linked to the suction mechanisms. This invention received a patent in 1860 and was named the “carpet sweeper”. In 1860 the first manually powered vacuum was invented. Although this device didn’t require a team of professionals, it did require a continuous hand crank while it was being moved across the floor. Different models and patents were given throughout 1869 to 1906. The first industrial strength vacuum device cleaned the carpets of Westminster Abbey in 1901 in honor of Edward VII’s coronation. They have taken many forms and have been called a variety of things including “carpet sweeper”, “dust remover” and “Whirlwind”. They have been manually operated, electrical, powered by gas, required multiple people to operate and eventually evolved into a stand up device that a single person could operate. This new device was as noisy as it was heavy, yet still it provided a revolutionary cleaning experience for the housewife who no longer had to resort to a broom and dustpan. The suction technology provided the goal of dust removal, which was the purpose for the invention of the vacuum in the first place. 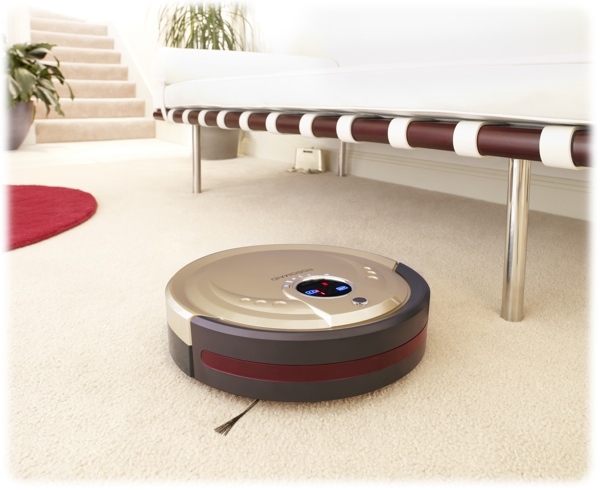 Vacuum cleaners have gone far beyond the single task of cleaning area rugs and can now roll over virtually any surface of the home. The roller-bars provide a deep clean on carpets and rugs while the general suction is safe enough to use on hard wood, laminate and even tile. Many come with telescoping handles and attachments to get the dust out of those hard to reach places and into small corners and crevices devices couldn’t previously reach. Now the vacuum is available in many forms, with a bag, without a bag, with speciality filters for different allergies, handheld, slim, they are even available in different colors. With a design to fit any personality and a function to fit any need the vacuum cleaner is now the most diverse multi-tasking small electronic in the home.